The PokerNews Cup Kulata schedule boasts two big events with six-figure guarantees. 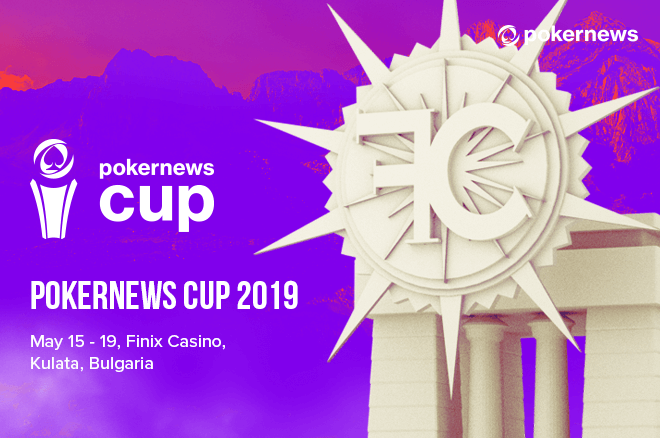 The PokerNews Cup is heading to Finix Casino, located on the border of Greece in Kulata, Bulgaria, for its thirteenth edition on May 9-19. The schedule features two tournaments with six-figure guarantees, plenty of side events, and, of course, cash games and tons of fun for 11 days. The PokerNews Cup €1,100 High Roller on May 12-16 is the first big tournament of the 2019 PokerNews Cup Kulata featuring a €100,000 guaranteed. The event provides tons of action with players starting with 100,000 in chips and blinds increasing every 45 minutes from beginning to end. Up to two reentries are permitted during each of the three opening flights on May 12. Additionally, players can reenter up until the close of late registration after the conclusion of the second blind level of Day 2 on May 15. The tournament will play down to a winner on the third and final day on May 16. Players looking to get in cheap can do so via five €120 satellite tournaments on May 9-13 guaranteeing a combined ten seats to the High Roller. The PokerNews Cup €550 Main Event takes place on May 15-19 and boasts half the buy-in as the High Roller with the same €100,000 guarantee. Players will have plenty of chances to bag a big stack starting with 50,000 in chips and are allowed a single reentry during each of the four opening flights on May 15-17. The first three opening flights feature 30-minute blind levels, while the last one is a turbo flight featuring 15-minute blind levels. Each of the opening flights will end with players already in the money. Players bagging chips will battle for two more days on May 18-19 until the latest PokerNews Cup champion is crowned. Players can qualify into the PokerNews Cup Main Event for just €60 in five live satellites on May 13-16 guaranteeing a combined 25 seats. Also on the schedule are plenty of side events with buy-ins ranging from €120 to €550.